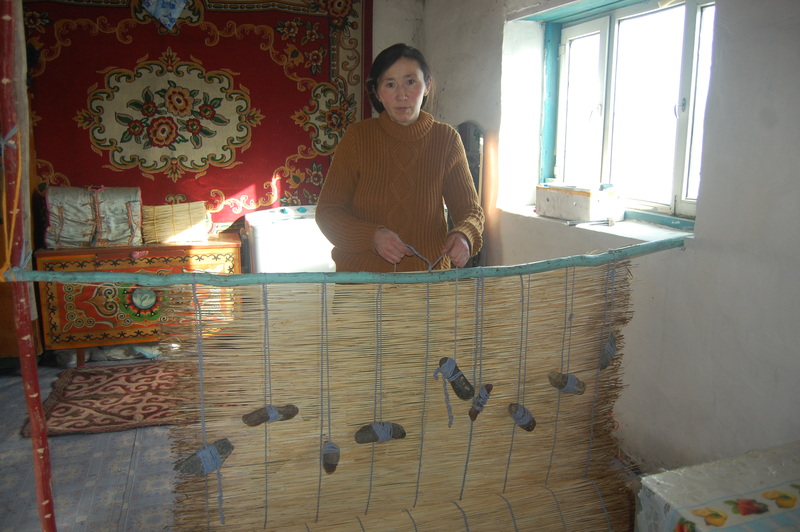 This family of artisans make panels from wheat straw to be used for wall panels inside Kazakh gers. 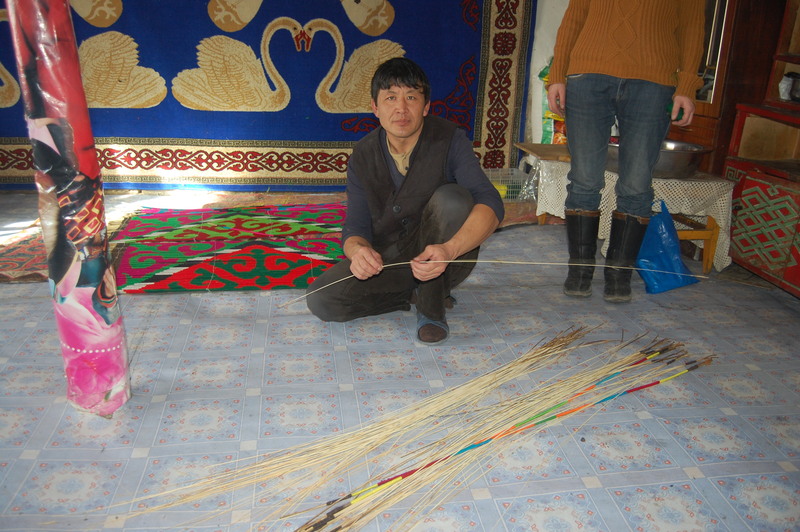 Straw is tied together and painted to make large rolls 1.5 m wide and up to 20 m long. 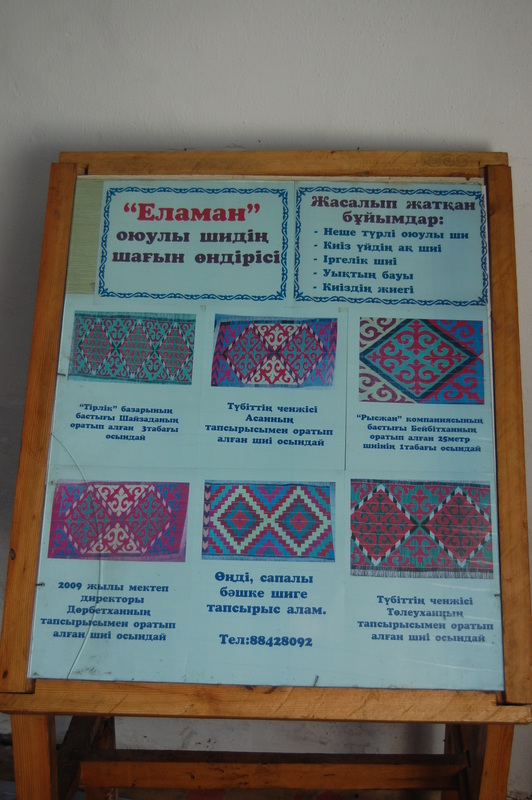 The Chee serves mainly a decorative purpose as Kazakhs only use their gers during the warm summer months. 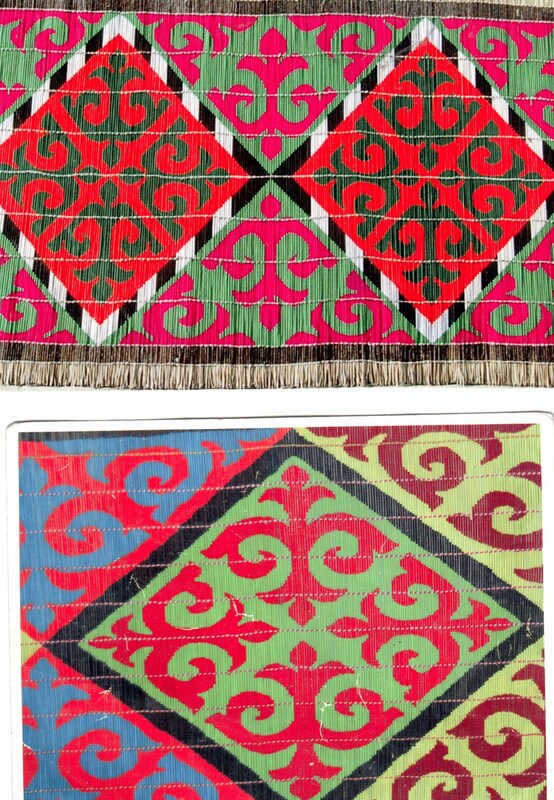 Straw panels are simpler and easier to maintain than the embroidered wall hangings, since they don’t require cleaning. 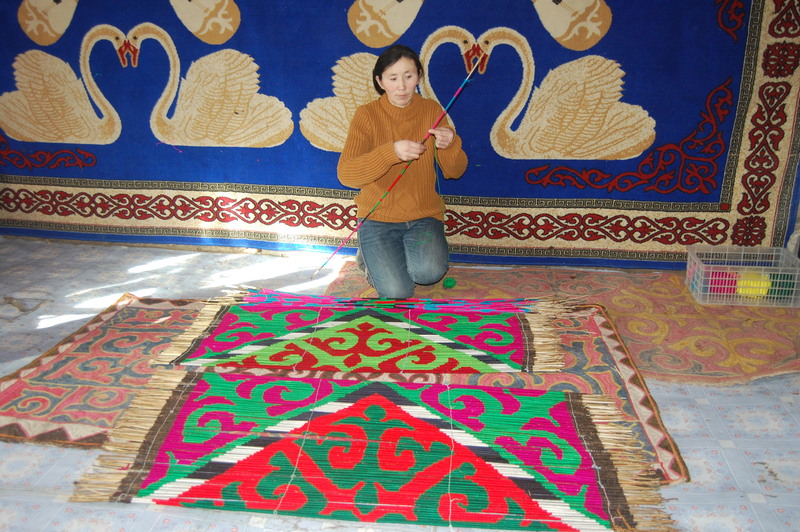 Though the production process is even more labor intensive than the wall hanging. 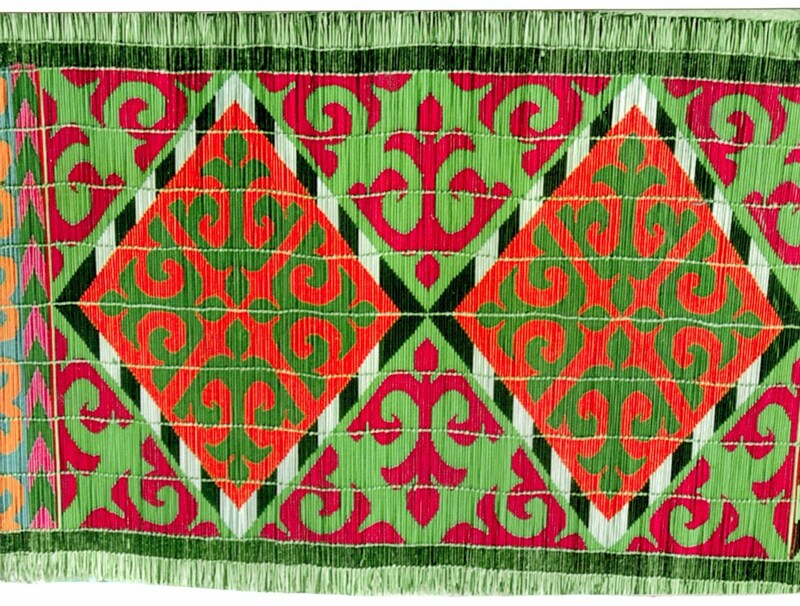 The designs follow the same curving style inspired by goat horns and bright colors used in the wall hangings. 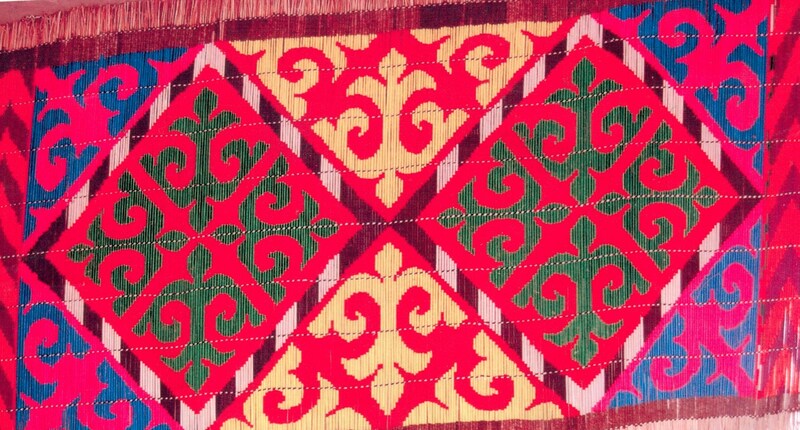 Four family members make these for Kazakh gers full time. Elaman makes several different products including designed panels, white, and small panels used for chairs and tables. They can take custom orders. Contact Chamber or tour guide if you wish to make order in English.